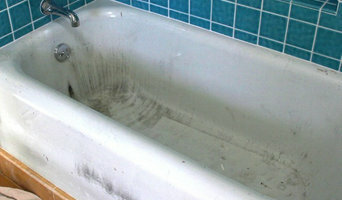 We resurface & repair bathtubs, sinks, bathroom counter tops, shower stalls & ceramic tile. Porcelain, fiberglass, cultured marble & formica. We can change the existing color and in most cases finish in a day. Your fixtures stay in place while they are being restored to their original beauty. If you are in need of a handy cap accesible bathtub for your tenants, a loved one, or yourself; we can convert your existing bathtub in just one day. Faux Painting, Architectural Finishes and Custom Art. Custom Canvas & Vinyl, Inc. Custom Canvas & Vinyl, Inc. has been providing Santa Barbara county with custom awnings of all styles and sizes for residential, commercial and industrial properties since 1977. We specialize in design, fabrication and installation of awnings of all styles and sizes for your home or business. 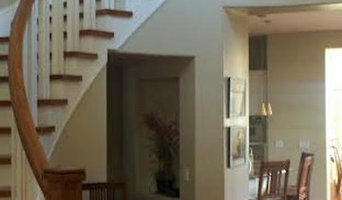 Sierra Pacific Stairs has been in the woodworking business since 1989. 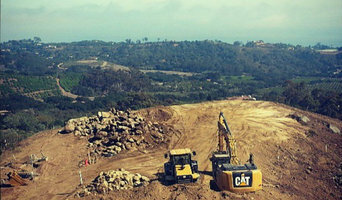 We are a fully CA licensed, bonded, and insured company. We are centrally located in Moorpark, California and focus most of our work in Santa Barbara, Carpenteria, Ventura, Camarillo, Newbury Park, Thousand Oaks, Simi Valley, Westlake Village, Moorpark, Agoura, Calabasas, and San Fernando Valley areas. Our specialty is staircase remodeling and repair, wooden baluster to iron baluster change-outs. Crown moulding, trim, and wainscot are also part of our daily projects. 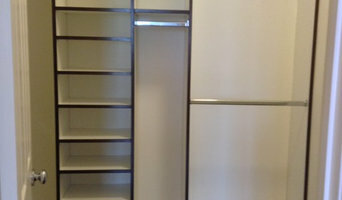 Our cabinet maker has 25 years of experience and is one of the best in the business. We design and create media centers to full kitchen remodels. 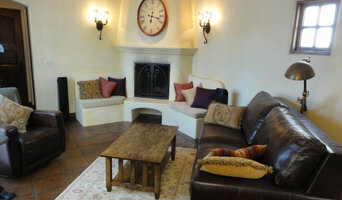 College educated professional and a resident of Santa Barbara for over 35 years. Providing a broad range of property, home, and family services from carpentry, painting, tiling, plumbing, stone work, landscaping, pet care, house sitting, to estate management. Whether your project calls for a single person, or you need me to manage a team, I have the skills to make it happen. Need to have your fence repaired; plants watered, fertilized, or planted; have your cats fed; gates repaired or simply oiled; grass mowed; a chicken coop, fence, or a shed built; I can do that. Wine tasting: I am happy to rent a van or drive your car for a fun day in wine country. Turf Masters specializes in the distribution and installation of synthetic surfaces in California. We are fully licensed and have more than 14 years of experience providing homes, sports fields, schools, and commercial properties with green, lush turfs using synthetic grass. We make sure to listen to our client’s needs and expectations, and we use only the best-quality products. We distribute RealTurf and we offer different infill materials, Versacourt made in USA, for basketball, tennis, and multisport courts. We offer a fifteen year warranty on Turf, lifetime on Versacourt, and two year warranty on installation. Save money on your gardening and water bills, and save the time you would spend doing yard work. Call us today, and we will beat any written estimate! Millworks By Design is a finish carpentry and millwork specialty contractor servicing the greater Los Angeles area. Our mission is to safely deliver quality millwork projects with a responsive and professional team. Whether you’re looking for a team of Mission Canyon, CA professionals or a handyman for a small renovation, you’ll find dozens of professional profiles and contact information for specialty contractors here on Houzz. Here are some related professionals and vendors to complement the work of specialty contractors: General Contractors, Landscape Contractors, Architects & Building Designers, Interior Designers & Decorators, Kitchen & Bath Designers. Let’s say you want to install custom wood flooring in your dining room, and you’ve found a Mission Canyon, CA company with excellent reviews. Next you’ll want to contact the company and make some inquiries. Find specialty contractors on Houzz. Look in the Professionals section of our website under Mission Canyon, CA specialty contractors, then select the nearest metro area for a contractor. You can also look through California photos of completed projects to see how a contractor might approach design challenges.